Showing results by author "Eleanor Henderson (editor)"
Here is an audiobook that transcends the limits of how-to guides and honors the act of childbirth in the 21st century. Eleanor Henderson and Anna Solomon have gathered true birth stories by women who have made self-expression their business, including Cheryl Strayed, Julia Glass, Lauren Groff, Dani Shapiro, and many other luminaries. 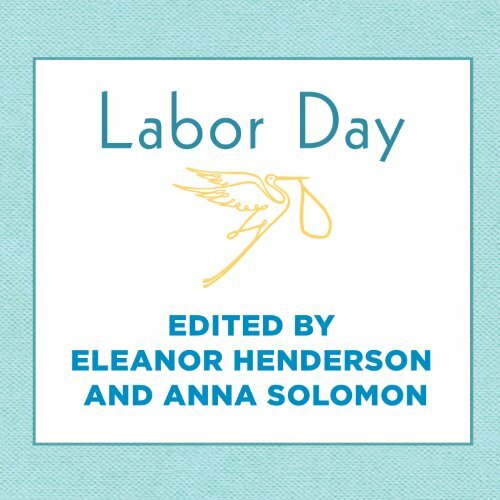 In Labor Day, you'll hear about women determined to give birth naturally and others begging for epidurals; women who pushed for hours and women whose labors were over practically before they'd started; women giving birth to twins and to 10-pound babies.